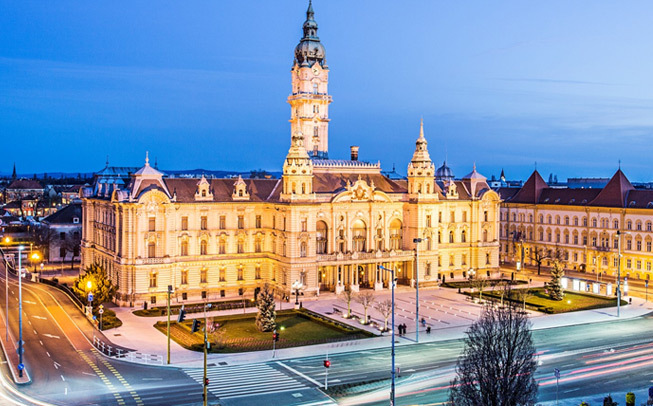 The city of Győr is full of architectural, cultural and natural wonders. Situated in the North-Western Hungarian region, the visitors can also enjoy many sights such as the thousand-years-old Benedictine monastery in Pannonhalma, where they can also try the wine monks make. The region is rich in thermal spas for those that seek treatment or recovery. 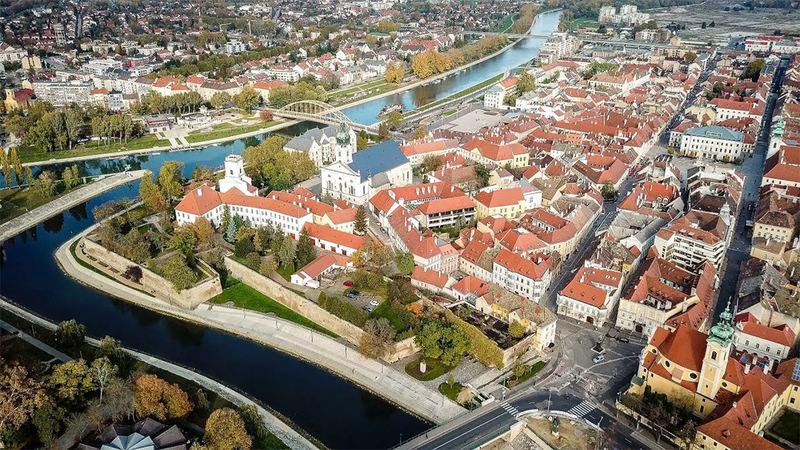 Protecting the historic building and rebuilding the Baroque centre of the city awarded Győr with a Europe-award. Make sure to take a walk in the city to see the corner balconies and narrow streets. 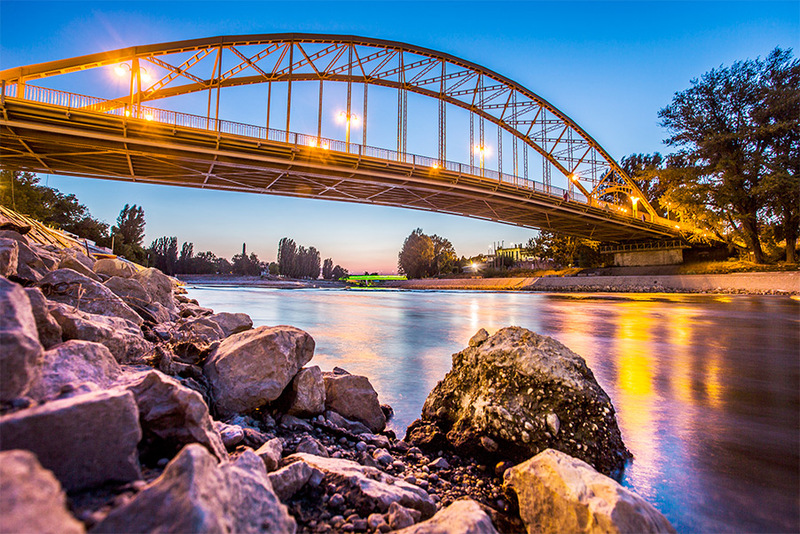 Győr is surrounded by nature and as the river runs throught the city, you can feel its presence. Rich in culture and thermal waters, the surrounding areas are also worth a visit. To have a relaxing afternoon, make sure to organize a picnic on Szigetköz water-land or visit the Pannonhalma Hills. The famous Rába-Quelle Bath was opened to the public recently. The city’s baroque-styled main square is a popular summer centre for Győr’s events. 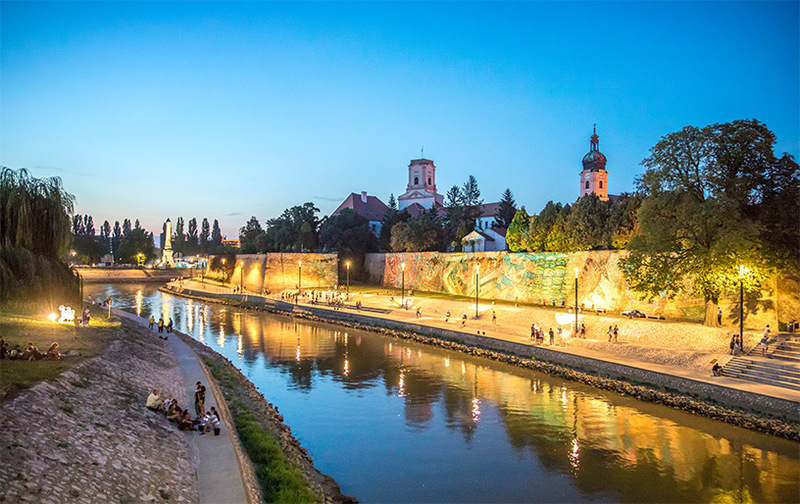 The square hosts the biggest festivals in Győr but more interesting are the remains of a castle wall just below the ground. In the past the city’s gates, called Vienna gates, stood here thus the name ‘Vienna Gate Square’. The building was inaugurated in 1900 and became the symbol of Győr. The coat of arms on its front is a donation from Maria Teresia and the 59-metre-tall tower plays a popular folk tune in every hour. At 11 a.m. and 5 p.m. it plays a two-minute-long musical composition. As one of the oldest countries in central Europe, Hungary's Christian history is more than a thousand years old. From being Christian kingdom in the 11th century and after losing more than two thirds of its territory after the First World War, the country became a unitary state in 1989. Today's Hungary is divided into nineteen counties but Budapest, the capital, is independent with its own government. Besides Budapest, which is the most populated, each region of the country has its bigger cities. In the west, we can find Győr, home to WRO 2019 Final. 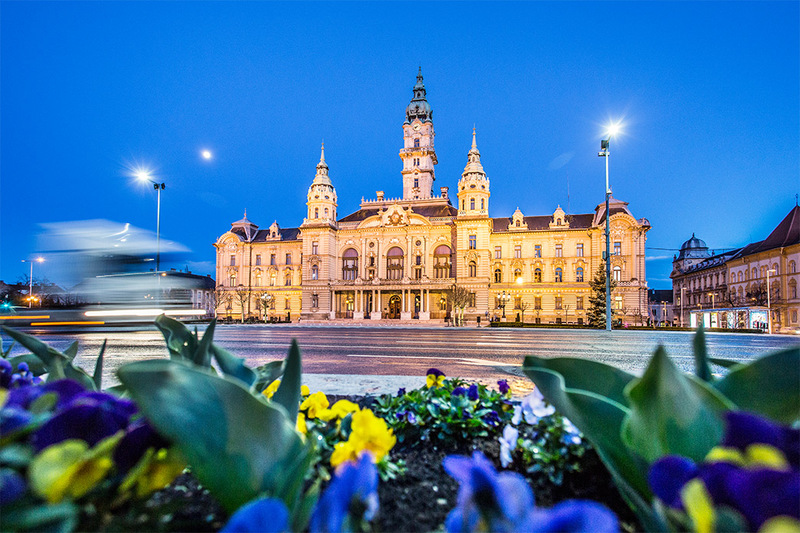 Pécs (also known as Sopianae in the ancient times) and Szeged are the biggest cities in the southern region, while Debrecen in the east is the second most populated city. Hungarian is the official language of the country but the language itself stands alone in the region. Belonging to the Uralic language family, it is related to Finnish but uses its own unique characters like the letters: ő and ű. Among the neighbouring countries, none of the spoken languages resemble Hungarian grammar. When Hungary joined the European Union, the language became an official language of the EU. In and out of Hungary, the language is spoken by approximately 13 million native speakers. Hungary's geography is defined by its two main waterways, the Danube and the Tisza. The country is home to the world’s largest thermal water cave system and the second largest thermal lake – „Hévíz” in Hungarian, the largest lake in Central Europe – Lake Balaton –, and Europe’s largest natural grasslands – The Great Hungarian Plain or „Alföld” in Hungarian. The main airport of Hungary is Liszt Ferenc International Airport. Thanks to its central location, the country is easily accessible from most major cities in Europe but the American continent is also reachable with one stop between flights. 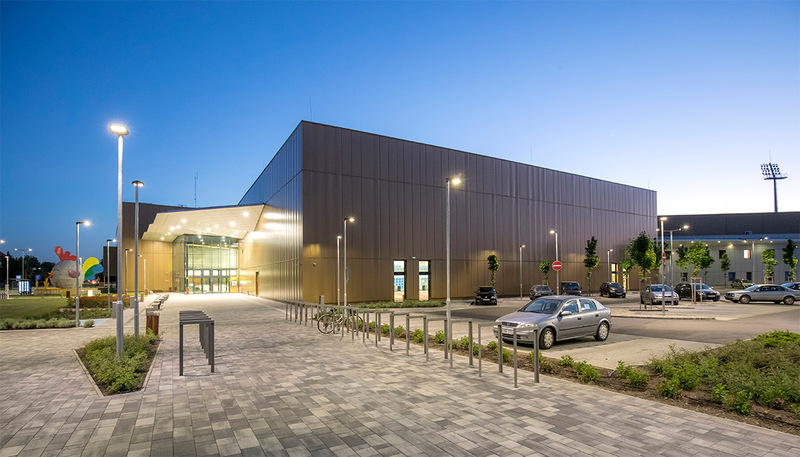 There are international flights arriving to Debrecen, the second most used airport in Hungary. Other close airports to the country are in Vienna and Bratislava. Hungary uses Hungarian forints (HUF) as its currency. We suggest exchanging money at official money exchange offices since exchanging money on the street is prohibited by law. Most of the shops accept the usual types of credit cards with MasterCard, Maestro and Visa being the frequent ones to be used. However, we suggest always carrying cash with you. Places that accept credit card payment have the card brands sticker on the door or on the window of the shop. Typical Hungarian dishes are for instance goulash soup ('gulyásleves'), fish soup with paprika ('halászlé'), which can be tried in most Hungarian restaurants. However, in the last few years, the western gastronomic revolution reached our country as well. Many new street food places and international restaurants opened and the typical Hungarian dishes were also rethought in the countryside. There is also a wide selection of wines with Hungary living its renaissance in wine-making. Famous wine regions are near Lake Balaton, in the west near Pécs and the most famous one in Tokaj, which is the home of the worldwide famous Tokaji Aszú, the wine that has been called ”Vinum Regum, Rex Vinorum”, meaning ”Wine of Kings, King of Wines”. Other famous Hungarian drinks include Unicum, a herbal liqueur, known for its bitter taste, served usually before meals. Pálinka is a Hungarian traditional fruit brandy. It can be factory made but several Hungarian families also have the rights to home-brew it. Hungary is home to many large European festivals. Budapest is rich in museums and other exhibitions but the old town of the capital represents several building styles as well. If someone would like to see the details of the building, the best option is to look up while walking on the streets. Europe’s largest synagogue can be found in the capital as well and it is called the Great Synagogue (or Dohány Street Synagogue). In spite of the country's small territory, Hungary has eight UNESCO World Heritage sites. Maybe the most famous is the panorama of Budapest alongside the Danube but the karst of Aggtelek with its magnificent small lake (called Tengerszem Lake) or the Hortobágy are no less of breath-takers either. 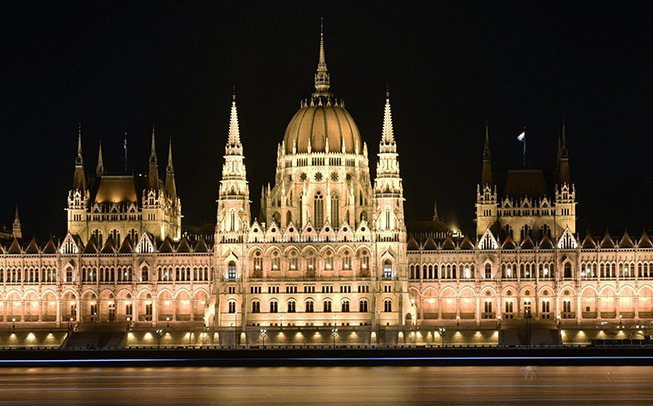 Recently restored to its original state, the building of the Parliament is a true symbol of Budapest. The building is one the biggest parliament buildings in the world. At every full hour during the day, the guards hold a ceremonial guard mounting. Would you like to see the lions of Budapest? Then visit the Széchenyi Chain Bridge, where you will find four of them. The bridge symbolizes national awakening and advancement and was built by Adam Clark and opened in 1849. Budapest is home to many famous people of history and even non-real characters. Take a walk at Szabadság Square to meet Ronald Reagan and make sure to stop by the statue of Bud Spencer on Corvin promenade. If you take a stroll on the bank of the Danube make sure to check the Little Princess. The small girl is sitting next to the tramline and the sculptor modeled it after his own daughter. The Danube runs through Budapest and is a key symbol of the city. If you would like to take the best picture of Budapest, we recommend walking on Margaret Bridge or visiting the Citadel. 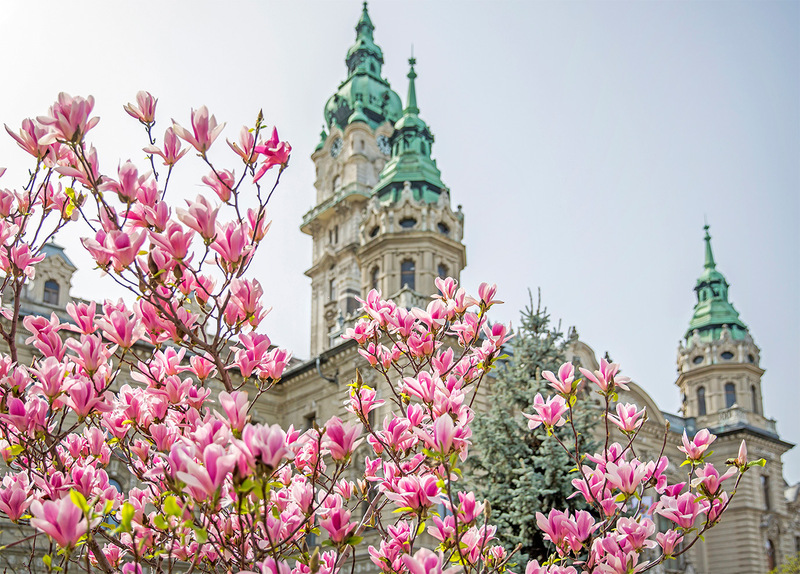 The Castle District of Budapest is famous for many of the top attractions in the city: The Fisherman’s Bastion, Matthias Church and the Buda Castle are the most frequently visited ones. It is worth getting lost in this district as you will discover many wonders of the Buda side. True to its name, Heroes’ Square salutes our historic kings who made Hungary famous. The square is always visited by tourist and it is recommended that one visits it at three different times a day because it will always give a different picture. If you are interested in Hungarian culture, make sure to visit the museum found at the square.